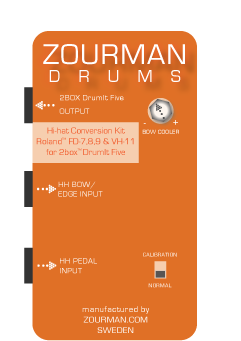 The Zourman Drums hi-hat conversion kit (formally 42Box) replaces a standard 2Box hi-hat with your favourite Roland FD-7, FD-8, FD-9 or VH-11 hi-hat. 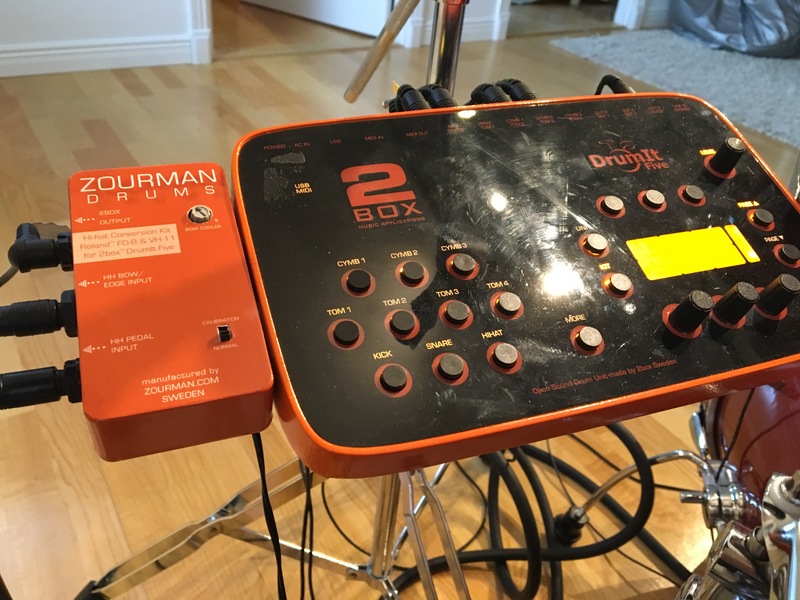 The solution is 100% plug and play and handles both a Roland hi-hat pad (bow/edge) and the hi-hat control pedal through the two input connectors. The Hi-hat Conversion Kit deliver the output into a standard 2Box hi-hat input (single stereo jack). The solution is the result of extensive research, development and rigorous testing with a range of equipment. Our testing has found that Roland hi-hats are very similar to 2Box hi-hat response, but more reliable and slightly faster. 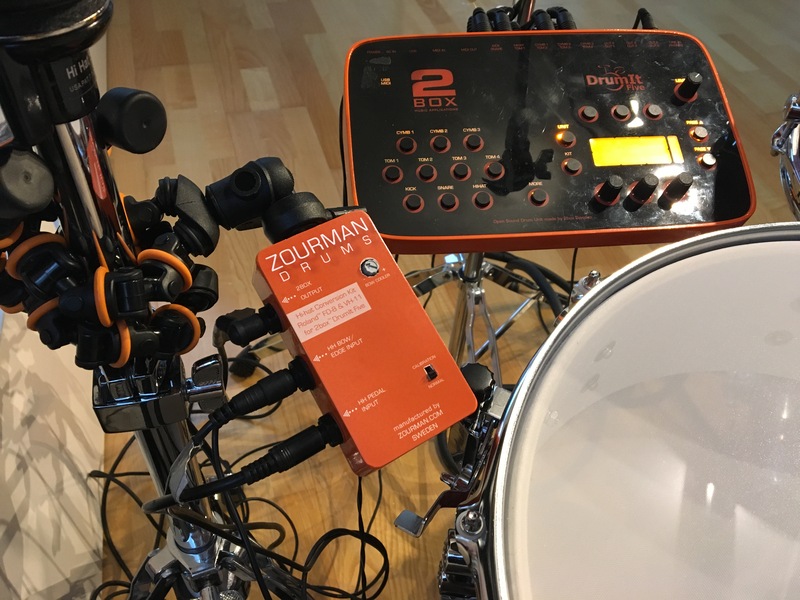 To further enhance the playability and response, the bow sensor (piezo) may need to be “cooled down” slightly with a variable resistor – an additional feature built into the Zourman hi-hat conversion kit. 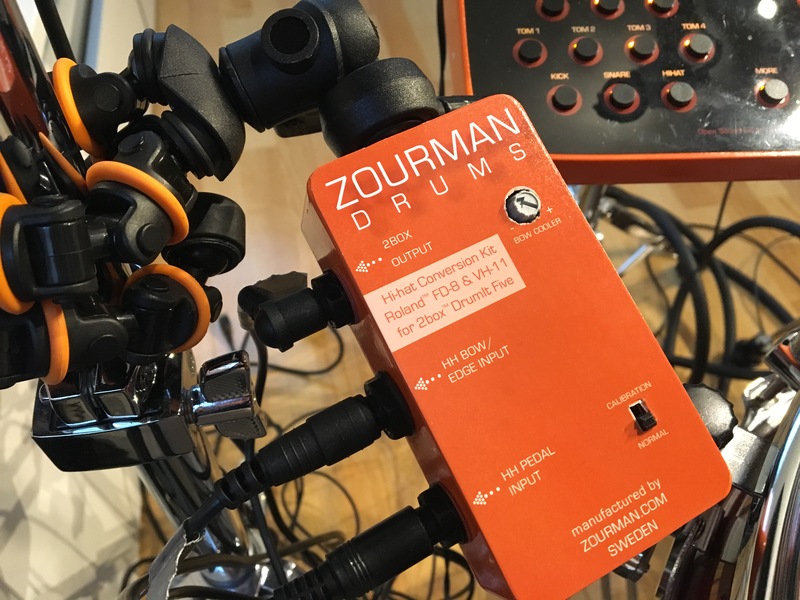 I ordered the Zourman box and to my surprise it nearly solved my hi-hat issues I had before. I could use my FD-7 again (which I loved) and I also tested the new Roland FD-9 (super silent) which did also work very well. The box does very well translate the openings without any artifacts. I got my fun back plaing funky beats and hi-hat open-closed beats. Good work !